Chibiusa and Hotaru. . HD Wallpaper and background images in the Sailor Saturn club tagged: sailor saturn tomoe hotaru. 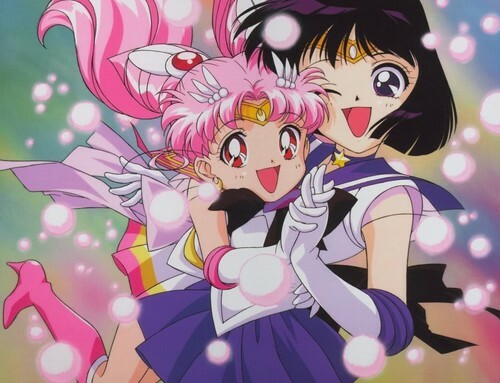 Aww that's so cute :) Sailor Saturn and Sailor Mini Moon are two (out of three) of my favorite Sailor Scouts.